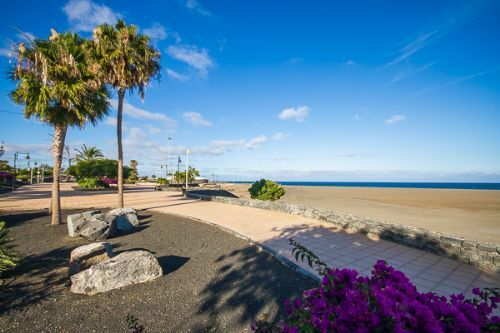 Large 1 bedroom apartment located on the ground floor over looking the communal pool and with a sea view. 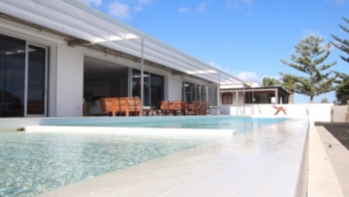 Located on a frontline complex in central Puerto del Carmen. 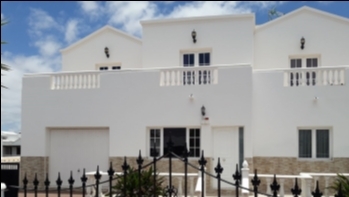 This is a ground floor renovated property located on a sought after complex located across the street from the main beach in central Puerto del Carmen. 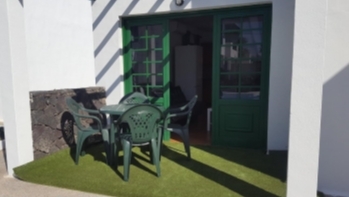 This is an ideal holiday home with a secure entrance gate, large communal pool with beautiful gardens and is in excellent condition throughout with lovely views. 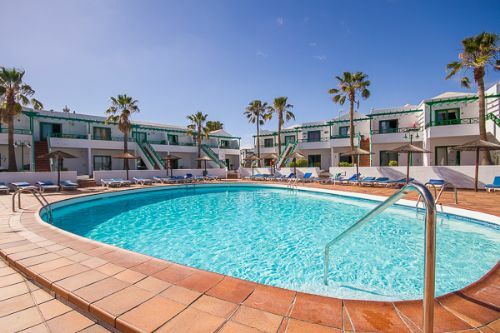 This apartment features a spacious open plan lounge with sofa bed, flat screen TV with UK channels, air-con, new aluminium patio doors and a fully fitted kitchen with 4 ring hob, oven, washing machine, fridge and separate freezer. The bedroom has twin beds, built in wardrobes and air-conditioning. The bathroom has a walk in shower. Outside there is a private south facing terrace with views over the pool. The complex is gated. 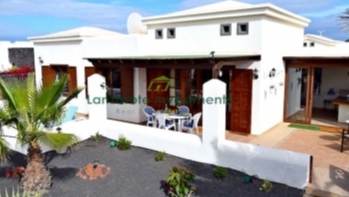 This is an ideal holiday home and must be viewed!